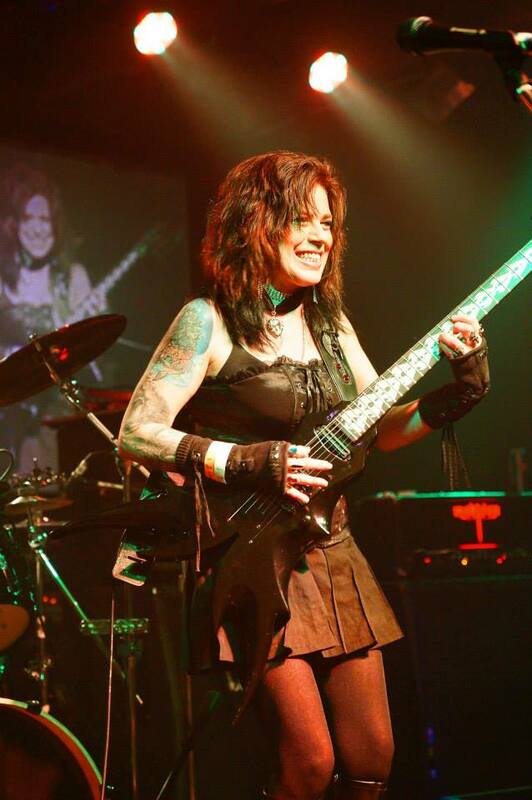 Castle Raven is back on stage! Come check out this amazing lineup supporting 40oz To Freedom, the premiere Sublime tribute band. A big thank you and shout out to our friend DJ Reverend St John at West Coast Radio. Yesterday he gave us our own mini spotlight with three tracks we pulled from a rehearsal session on his live internet radio station. 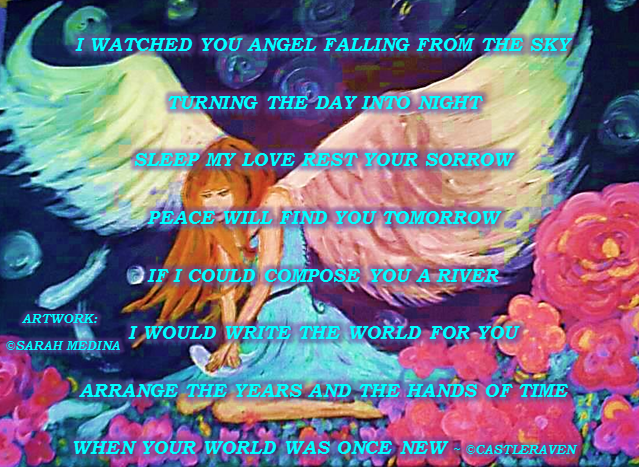 Check out his channel at http://westcoastradio.weebly.com/ and like him on facebook at https://www.facebook.com/westcoastradioonline. different ways. 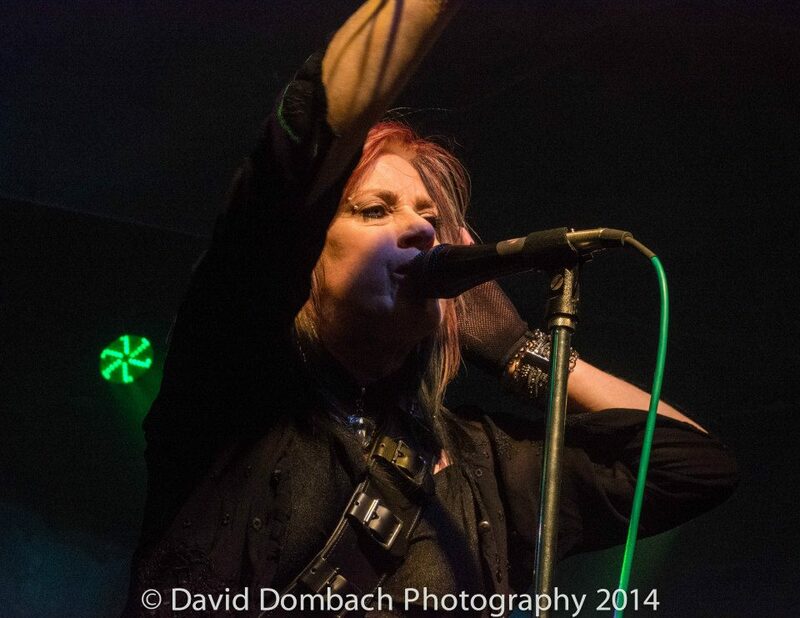 We have continued to record the album which is still in motion! achieving CastleRaven’s first Full-Length Album! CastleRaven.com/Join to enter the REALM! You can join the Castle Raven realm on our website at CastleRaven.com/join. If your so addicted to, all the things Saving Able does, contact us now for tickets. Castle Raven is opening at Sunshine Studios on May 13. Tickets are $15 in advance and this show is expected to sell out. Facebook a band member or email us to get your tickets now. 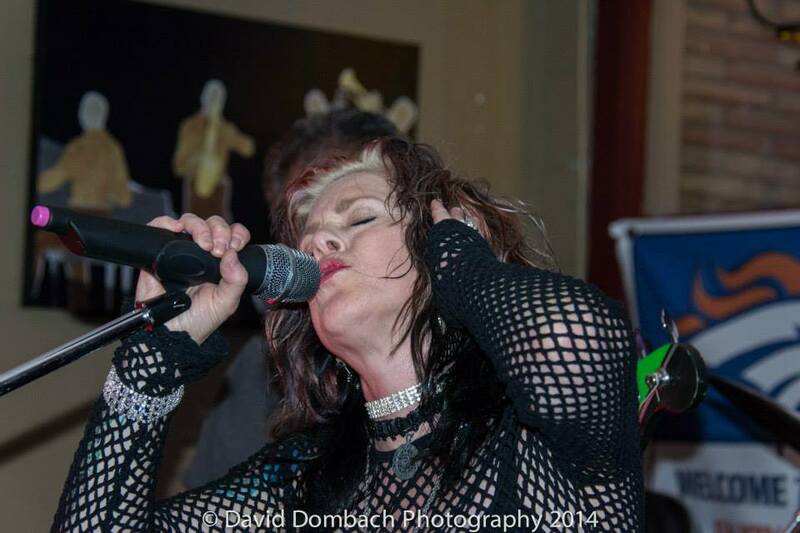 CLICK HERE to see the live show streamed to your browser! If your so addicted to, all the things Saving Able does, contact us now for tickets. 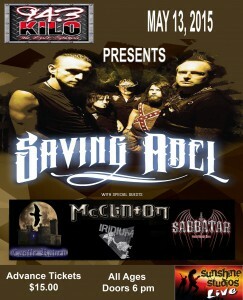 Castle Raven is opening at Sunshine Studios on May 13. Tickets are $15 in advance and this show is expected to sell out. Facebook a band member or email us to get your tickets now. 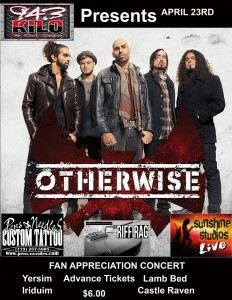 Come See Us April 23rd Opening up for Otherwise at Sunshine Studios. This is one of the hottest rock bands out there right now. They are returning for a fan appreciation concert after selling out there last time through. Tickets are discounted to $6 for this show, so come check em out. Opening for Otherwise. 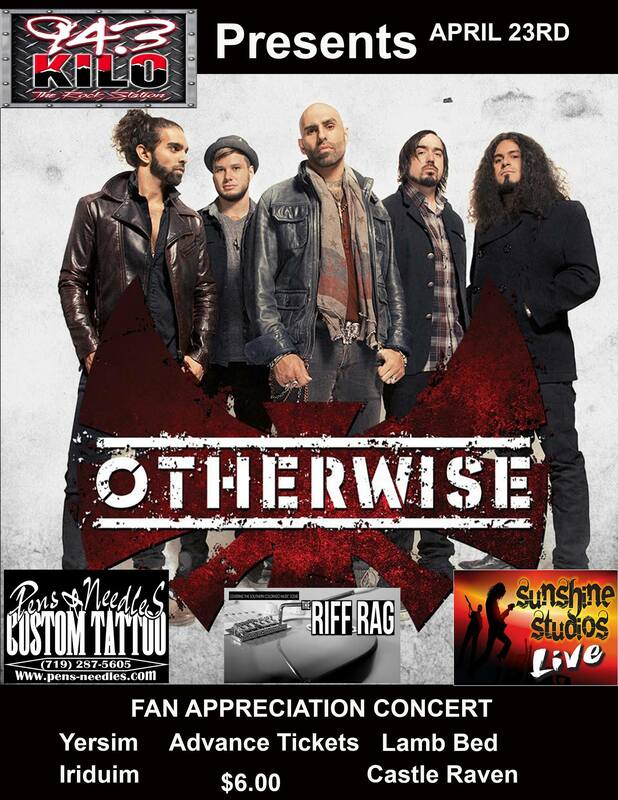 This is a return of Otherwise for a fan appreciation concert after selling out last time through. Tickets are only $6 this time. Message a band member on facebook or email us to get your tickets now. Come See Us March 20 Opening up for Tantric at Sunshine Studios. It will be an awesome show as we join some old friends with Street Corner Gypsy and Distant Warning. 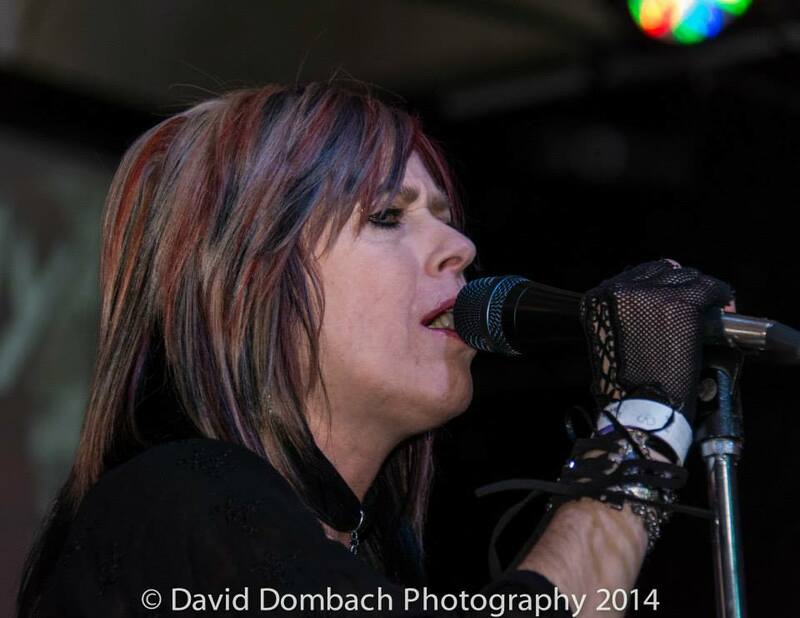 Also looking forward to sharing the stage with Iridium. 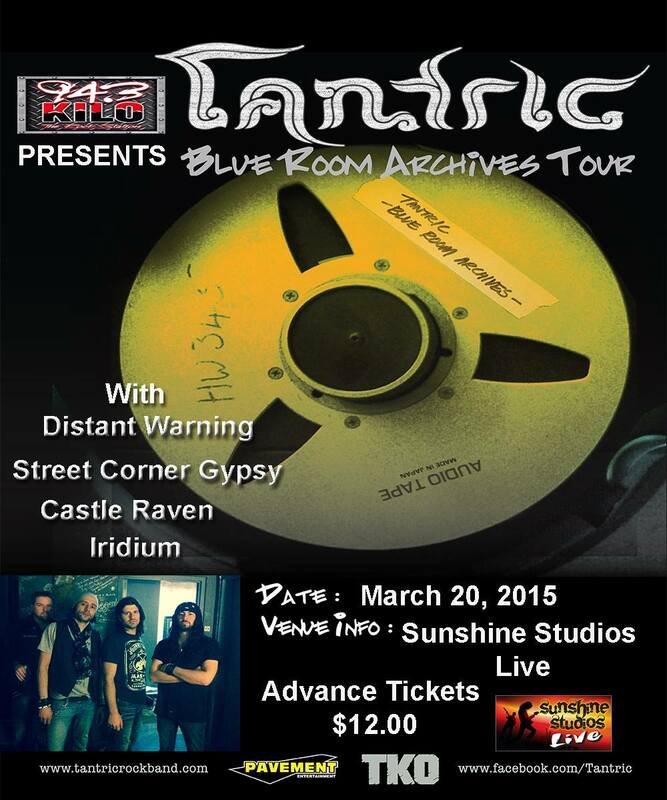 Opening up for Tantric with Distant Warning, Street Corner Gypsy and Iridium. Contact us through facebook or at band@castleraven.com for tickets. 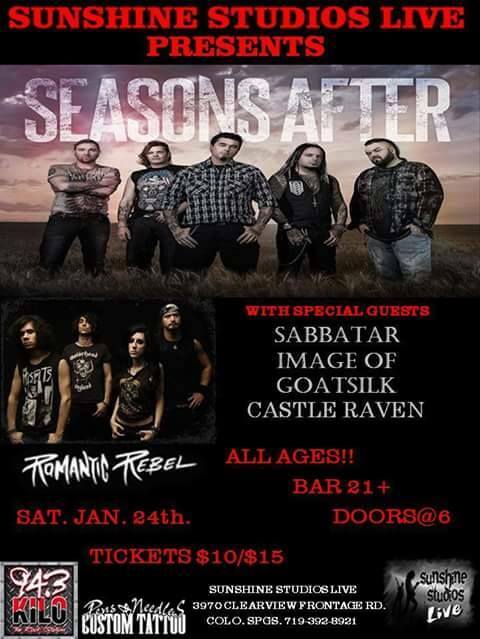 Opening up for Seasons After and Romantic Rebels with Sabbatar, Image Of and Goat Silk.